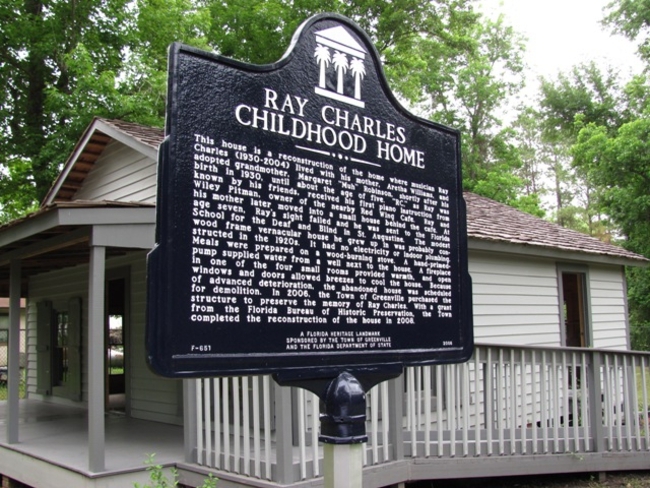 Ray Charles was born on September 23, 1930 in Georgia and spent his youth in Greenville, FL. He learned his musical craft in the Jellyroll neighborhood of our small town. It is only fitting that we commemorated the birth date of one of the world's greatest music legends with the dedication of his childhood home and the unveiling of an historic marker in September of 2009. The small home has been restored with the generous assistance of a grant from the Florida Bureau of Historic Preservation.